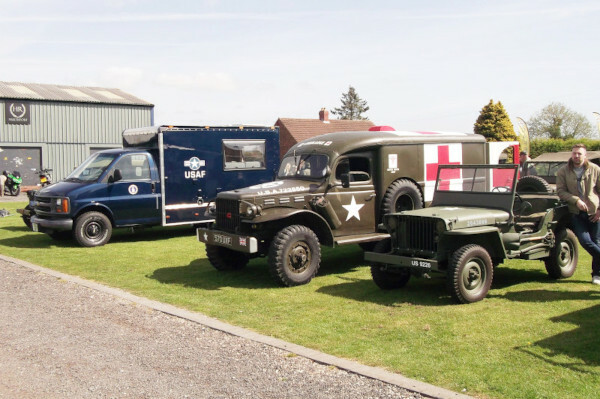 The Military Vehicle Trust is an International Organisation, and members have an interest in Military Vehicles, Clothing, and Equipment, particularly over the last century, when armies have become mechanised. The MVT has branches throughout the UK, the Yorkshire area being just one. They hold and support events from Spring to Autumn, with the occasional winter run out. You don't need to own a vehicle to join the MVT, just an interest is enough. Why not JOIN UP now? 02/04/19 - The For Sale/Wanted page has also been updated. 01/03/19 - The 2019 Events Diary has been updated with a full list of meetings and events to date. 01/03/19 - The 2019 Events Diary has been updated with a full list of meetings and events to date. More will follow soon. The For Sale/Wanted page has also been updated. 07/01/19 - The 2018 Events Gallery has been updated with photos from the Christmas Cracker Run and the November/December Area Report has been added with a report of the event. The For Sale/Wanted page has also been updated. Don't forget we're on Facebook too!! Battlegroup North - see the NEWSFLASH Page. Battlegroup North Show - Links All material contained here is Copyright © of the MVT unless otherwise stated.